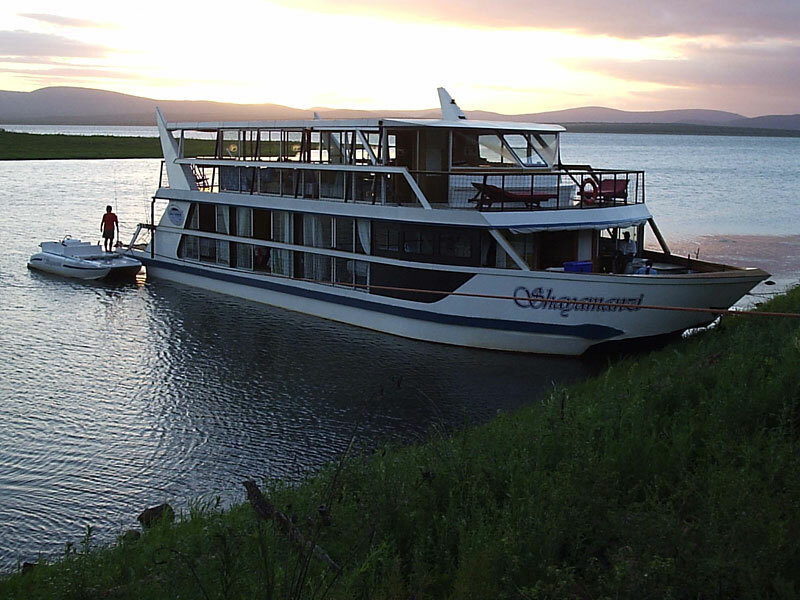 A houseboat holiday in South Africa provides a novel and snazzy leisure experience. Water has its own magical sheen and beauty by day, and a special lull by night. 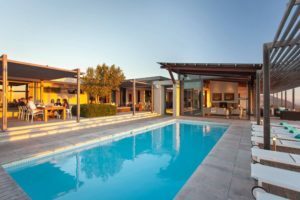 So why not bunk down on a houseboat in an idyllic water setting, on a choice cruise-and-snooze holiday in South Africa. It’s also a great way of celebrating a private, small-group event. Here’s one that’s especially good for groups, but also available to individual travellers. Travel up the Elephant Coast of KwaZulu-Natal to shimmering Lake Jozini, and board a Shayamanzi Houseboat. Majestic scenery features the Lebombo Mountains, Pongola Game Reserve, and of course the mirrored surface of Lake Jozini. It’s a prime spot for tiger fishing, for birding, and for game viewing from the water’s edge. The Shayamanzi Houseboat accommodates its cruisers in oak-panelled cabins with sliding window doors; all en-suite with shower, basin and toilet; and with plug points in the rooms. If you are taking just one cabin as opposed to a group booking, it would need to be on one of the scheduled per-cabin cruises on 10-12 Jul; 30 Aug – 1 Sep; 14-16 Sep; 30 Sep – 2 Oct; 30 Oct – 1 Nov and 14-17 Dec 2015. Mail us. 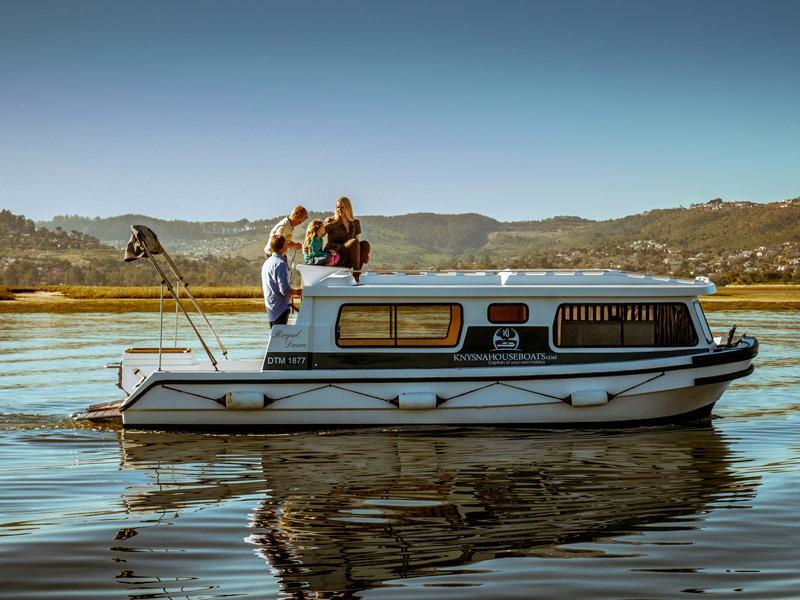 The Garden Route offers the fabulous Knysna Houseboats, lovely self-skippered ‘floating homes’ on the Knysna Lagoon, suitable for four adults or a family of five. Each boat is equipped with a fore-cabin providing sleeping space; fully fitted galley; bathroom with hot shower, toilet and basin; and dining area that converts to a double bed. Outside there is an open deck, barbeque facilities and a rooftop sundeck that offers glorious views. Spend idyllic days cruising, sunbathing at secluded spots along the lagoon, fishing and birding. Offshore, Knysna has many delights to explore. During high season a minimum three-night stay applies, and a minimum of two nights at other times. Mail us. 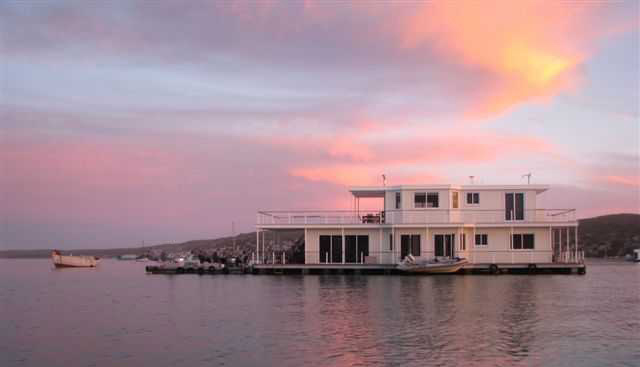 Here’s a great houseboat experience for group events: make your way up the West Coast and board a Kraalbaai Houseboat on the cerulean waters of the Langebaan Lagoon, a part of the magnificent West Coast National Park. These permanently moored houseboats accommodate up to 22 people, usually on a self-catering basis. Mail us. Another waterborne experience – this one just for groups of up to 8-10 people – happens on a Liquid Lounge Houseboat on the placid Vaal River. 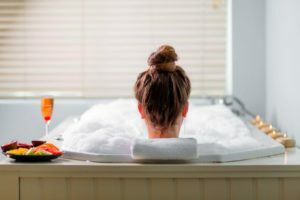 Houseboat facilities include four double en-suite cabins, lounge area, fully-stocked kitchen, dining area, outdoor recreation area with bar area, barbeque facilities and cold water jacuzzi. Book your small-group trip on either a catered or a self-catering basis. Prices vary according to your catering choice and the amount of cruising time you select. The boat is moored at the Emerald Resort & Casino in Vanderbijlpark, and there is parking there for your car. Mail us. Call us on 0860 102 907 or mail us to book your houseboat holiday, or any other holiday accommodation in South Africa.